Anytime a ball leaves the field, it’s a problem. 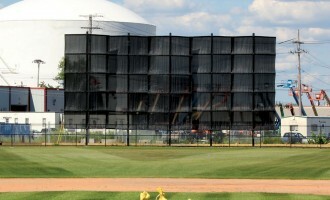 Our Barrier Net containment systems keep balls where they belong and spectators and property safe.No ladders, no lifts. Easy up and easy down, all from the ground. 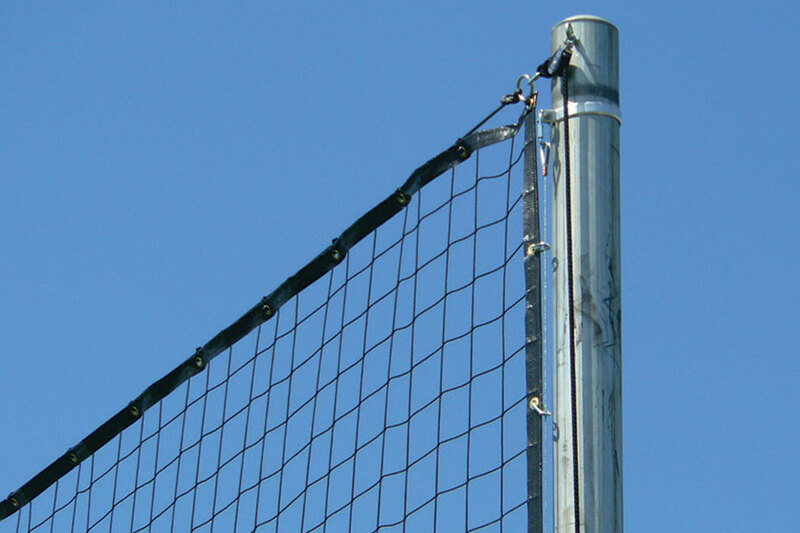 Features heavy-duty aluminum posts and a tensioning system that removes net sag. 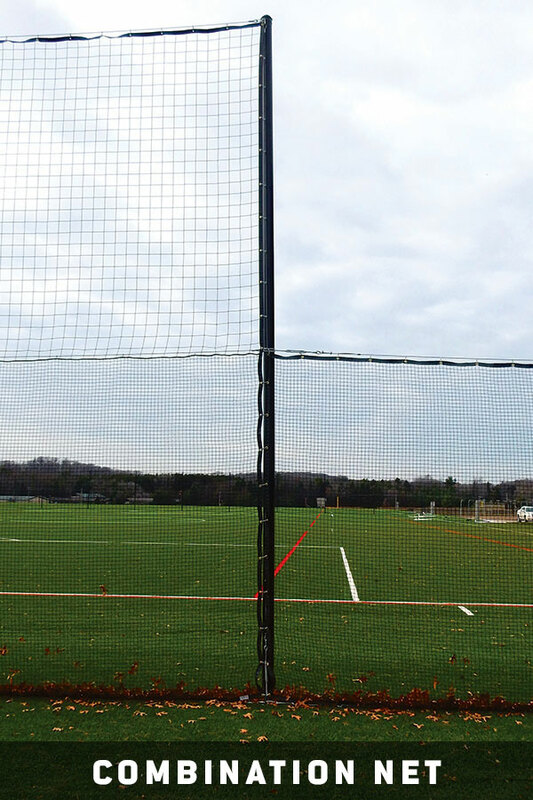 We offer standard systems for soccer, lacrosse and other common sports. Click Get a Quote below for an estimate on a system to meet your specific back-up net needs. Shown with optional black powder coating. 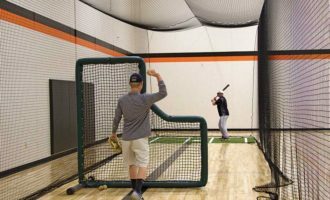 Like our TUFFframe batting cages, our Barrier Net systems are as tough as they come. With heavy-duty aluminum upright posts, they’re built to last. Superior hoisting blocks and halyards lift the net into place, while the top support cable and innovative tensioning system easily removes sag, allowing the net to hang true. Best part is, it’s easy to put up and take down — no ladders, no lifts. And ourpremium nets and superior support hardware perform perfectly. 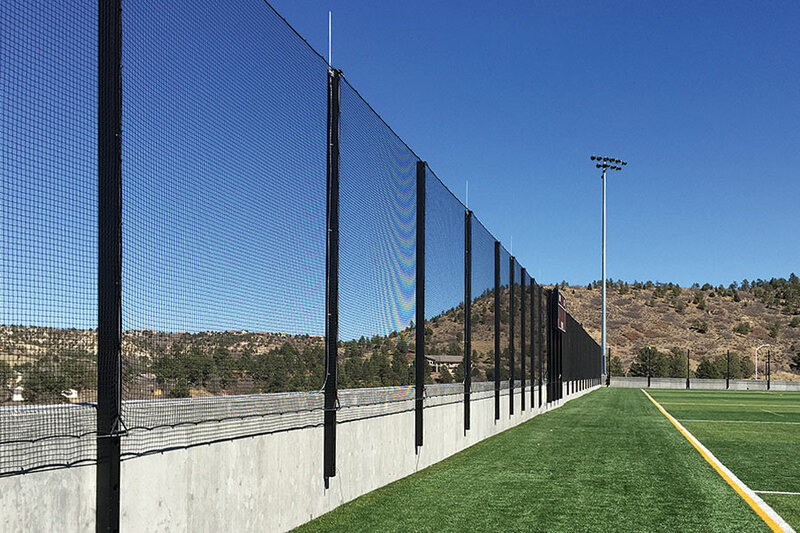 Systems for Soccer, LaCrosse and other sports is available. Our Combination Nets give you the best of both worlds with the lower 12′ using our multisport 1.5″ mesh and the upper 8′ using our 4″ mesh. 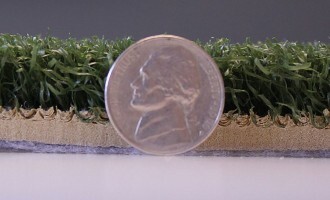 Perfect for locations with combined lacrosse / soccer fields. Click Get a Quote above for an estimate on the system to best meet your needs. Ground sleeves & cable included with all systems. Ships via freight. 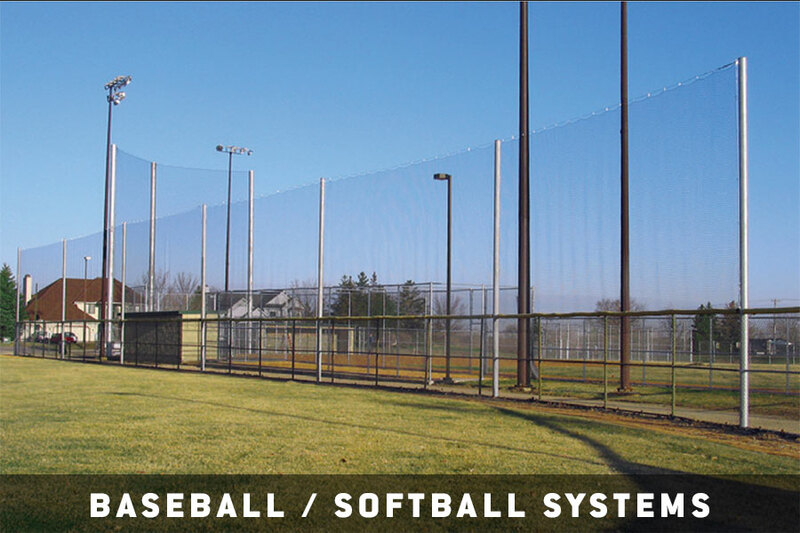 Also see Beacon Engineered Net Backstop Systems. 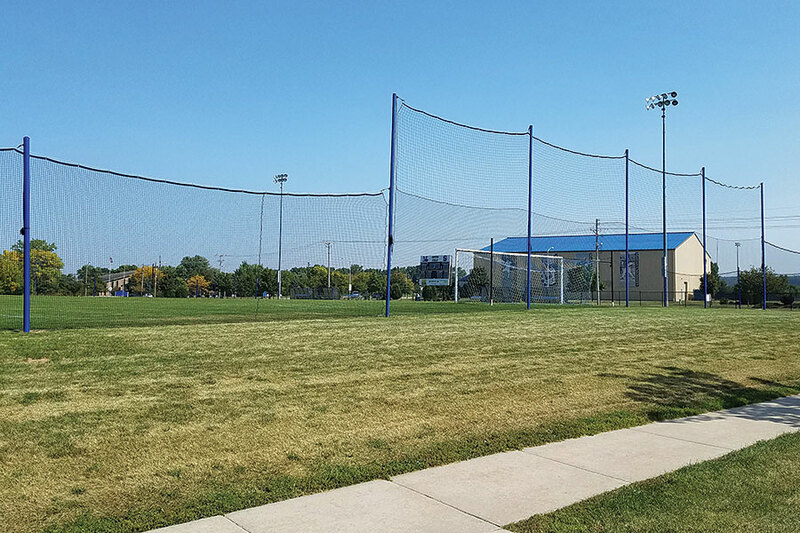 Consider back-up or barrier net systems for lacrosse, soccer, football, golf, baseball, softball and custom applications. 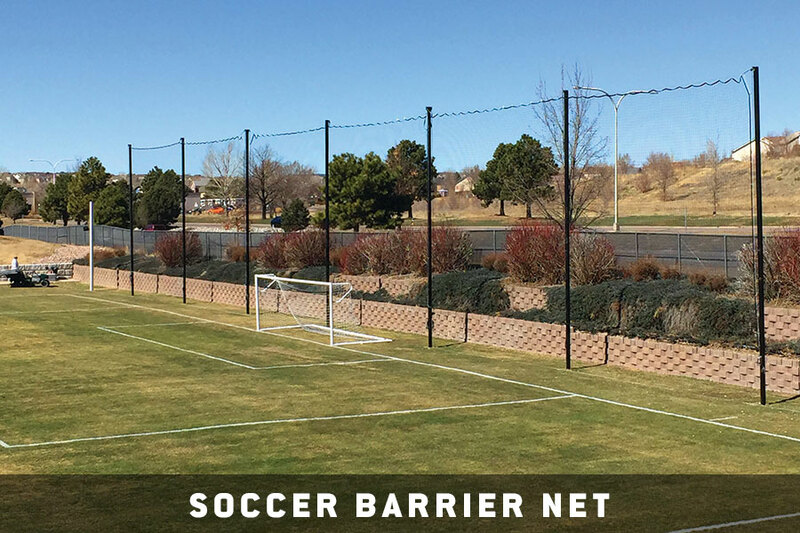 Note: Due to the ability to lower these nets quickly and easily, these barrier net systems are rated to a maximum wind speed of 80 mph for the Soccer systems and 70 mph for the Multi-Sport systems. We can design systems to meet higher wind load ratings as needed — both hoistable and permanent. Please call us with your requirements. 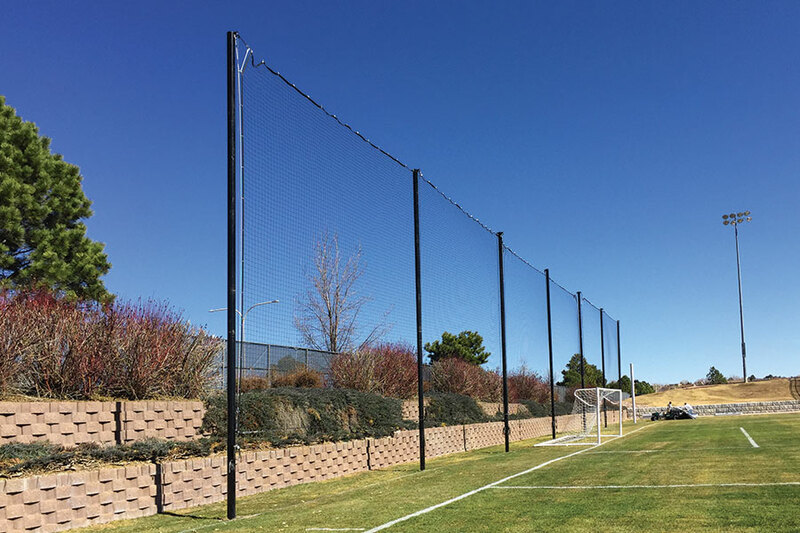 Be sure you know the wind load rating for any barrier net system that you purchase. Ground sleeve & caps for when the net needs to be completely taken down, uprights and all. Heavy-duty aluminum posts when easy pole removal is required. 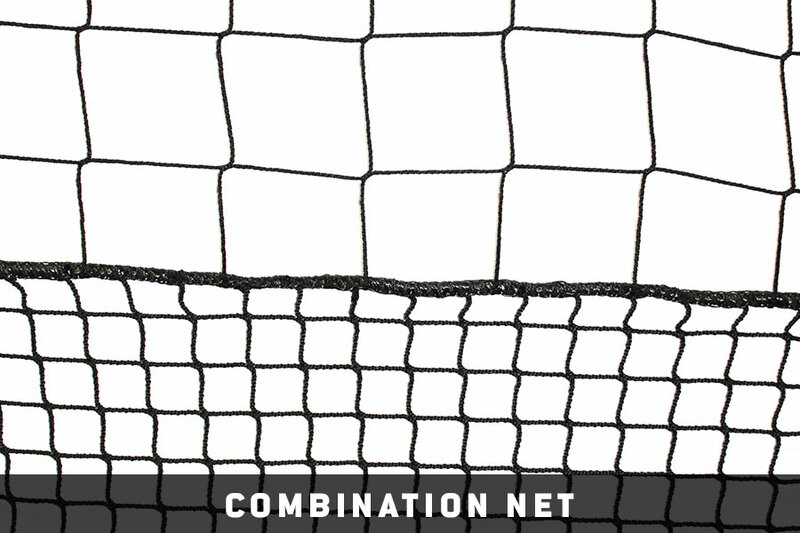 Net mesh options: various mesh sizes and weights to meet your purpose. Permanent net attachment for when your net goes up and needs to stay up. Black powder coating on uprights available at an extra cost.